There are no Sunday classes in April due to other events and the Easter break. 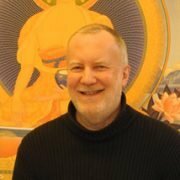 Learn simple and gentle Buddhist meditation techniques to relax the body and calm the mind, with a chance to explore practical ways to develop inner resilience for the difficulties of everyday life. The classes are suitable for complete beginners and those with some experience of meditation.